Light Up Nashville offers high-end outdoor lighting services to Gallatin and Sumner County residents. Our primary outdoor lighting service offerings are low voltage outdoor lighting, Christmas or holiday lighting services, and outdoor event lighting. We specialize in outdoor lighting design and installation. Discover why we’re Nashville’s first choice when it comes to top quality outdoor lighting solutions. We’re a not a franchise like many other outdoor landscape lighting companies, we’re a local Nashville business. When you do business with us, you can rest assured you’ll receive the highest quality service and products the outdoor lighting industry has to offer. Our reputation is hard earned and well deserved. We design and install high-end landscape lighting systems in Gallatin, TN. We offer low voltage outdoor lighting solutions for: architectural home lighting, landscape lighting, deck lighting, security lighting and more. We’re a local Nashville company offering the best products, service and value. If you’re looking for the best holiday lighting company in Gallatin, look no further! 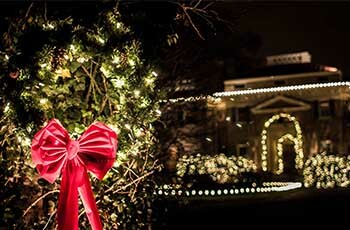 We’re a full service Christmas lighting company offering: design, custom install, maintenance throughout the season, removal in January and storage until next year. Have an outdoor event in Gallatin and need temporary aesthetic or functional lighting? We’ve got you covered. 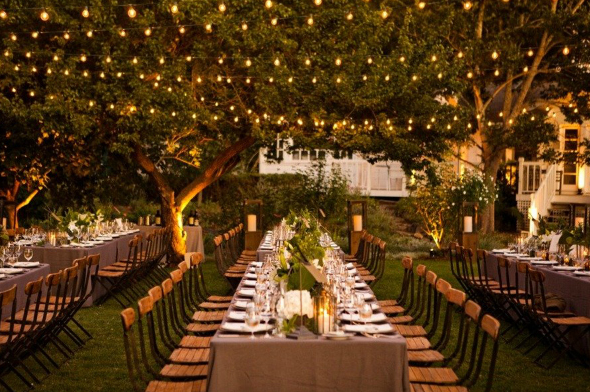 We specialize in outdoor event lighting that sets the proper ambiance for weddings, parties and corporate events. Light Up Nashville offers high-end outdoor lighting services to Gallatin and Sumner County. We offer professional outdoor lighting design and installation services for LED landscape lighting, LED architectural lighting, outdoor security lighting, deck lighting and many more. 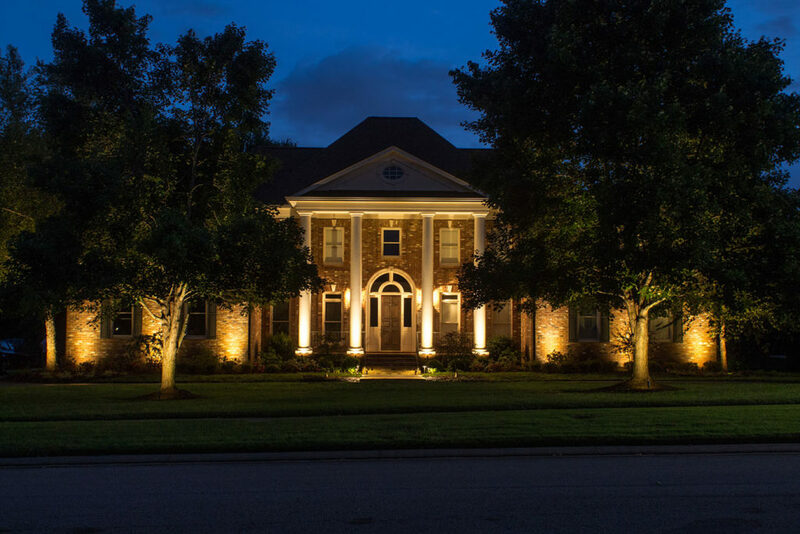 With strategically placed low voltage lighting fixtures, we can transform your property after dark. We specialize LED outdoor lighting, after all it’s all we do! Contact us now and let us show you how we can enhance the beauty and safety of your home and outdoor spaces. We specialize in Low Voltage LED lighting design and installation and we’re proud to be Nashville’s top source for high end outdoor lighting solutions. We are the outdoor lighting experts in Gallatin!